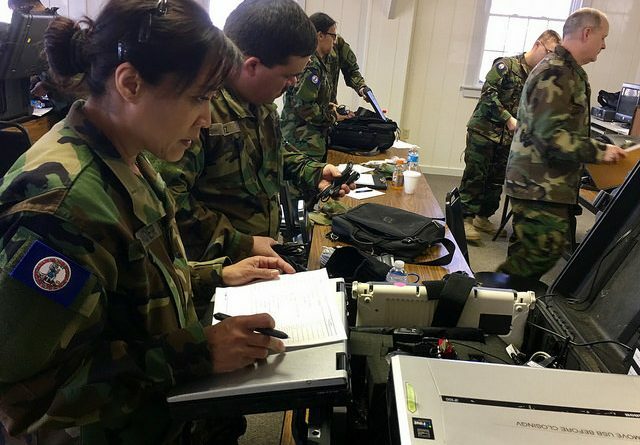 FORT PICKETT, Va. — More than 160 members of the Virginia Defense Force conduct hands-on training training to improve their individual skills in the areas of interoperable communications, incident management, traffic control and staff operations and planning April 1, 2017, at Fort Pickett, Virginia. 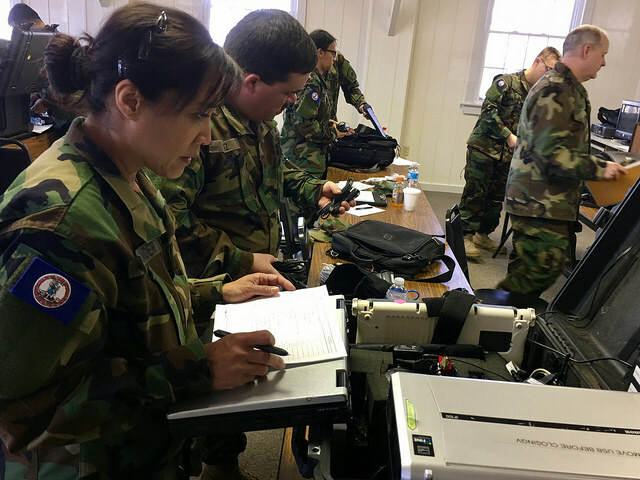 Communications support, operations center augmentation and security assistance are some of the many different missions sets the VDF provides as the all-volunteer auxiliary to the Virginia National Guard authorized by the Code of Virginia. Those mission sets take advantage of the wide variety of public safety, military and civilian skills VDF members provide.